As a regular traveler, it may come as a surprise that I have never been to Mexico. I have traveled to the Caribbean, as well as some of the southern states in the U.S., but I have never gone south of the border. This all changed Labor Day weekend when I took my 3rd wedding anniversary trip to Cancun and enjoyed a stay at Secrets the Vine. 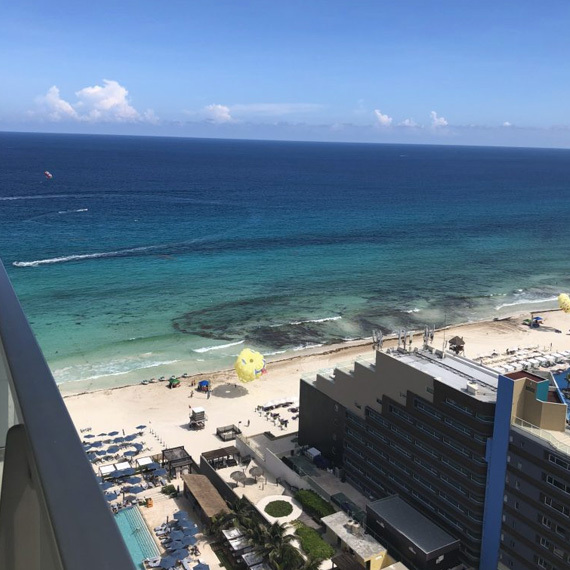 Four days is the perfect amount of time for a short getaway, and with the flight to Cancun from Chicago being under three hours, it’s easy to do for a weekend. 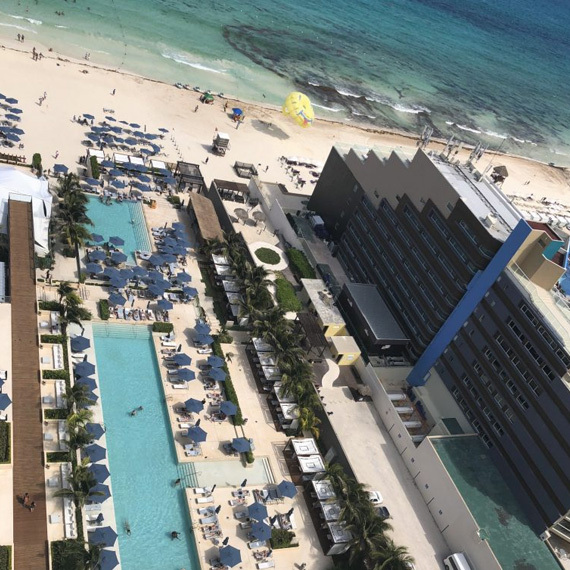 Secrets the Vine is located in the hotel zone of Cancun and is a short drive from the airport. Upon arrival we were greeted with Champagne and ushered to the 21st floor for our Preferred Club check in. The whole process was extremely easy, stress free, and a bit luxurious. 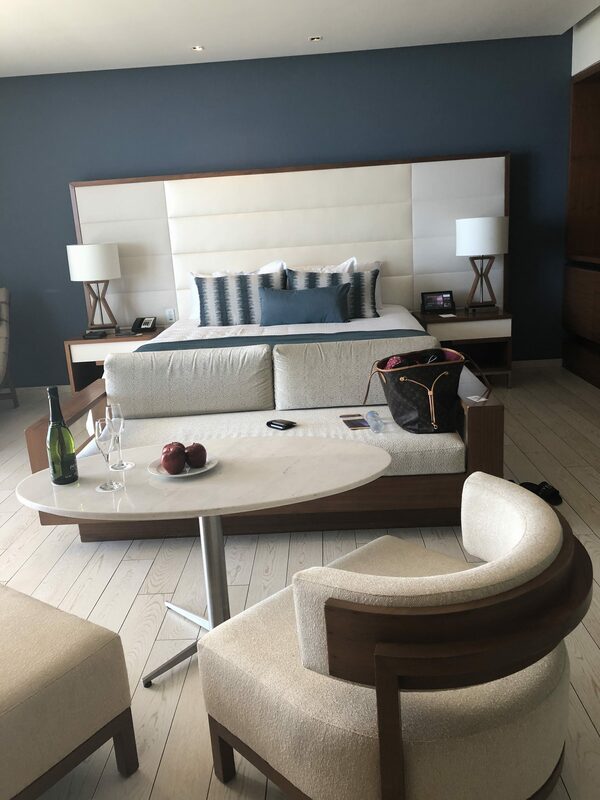 After checking in, we were escorted to our room by our butler, Eduardo, who showed us all the features of our Oceanview Suite and explained that he and his team were available for anything that we needed. 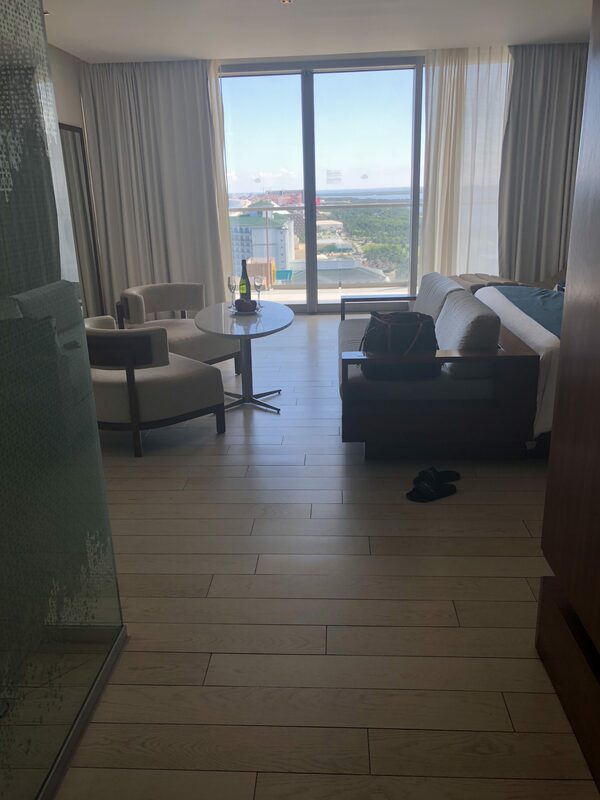 There are also convenient tablets in each room that allow you to order room service, book services, and contact members of the Secrets team at the hotel. It also provides maps, details on the restaurants and bars, as well as the daily activities list. For anyone new to this resort I would highly recommend the Preferred Club, if only for the use of the Preferred Club pool. 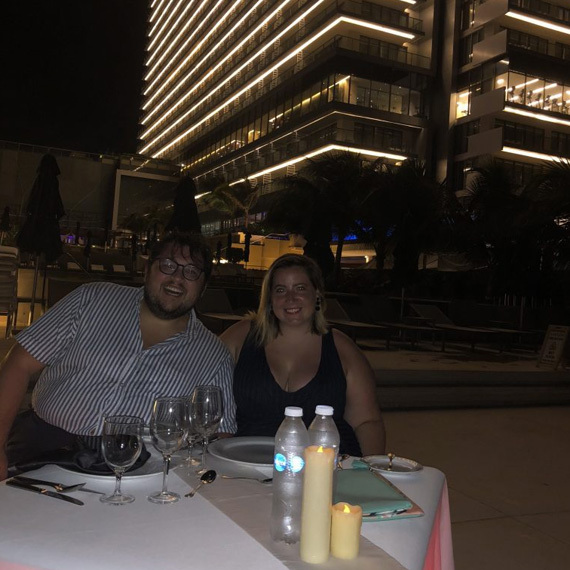 The entire resort is beautiful but getting to experience the views from the rooftop pool, that looks over the entire grounds as well as Caribbean Sea is truly breathtaking. It is a small pool area, perfect for mingling with friends or for enjoying the company of your significant other on a romantic getaway. The private bungalows are on a first come first serve basis, but we were always able to get one, which is great for a midday nap or to get out of the sun and enjoy your favorite book. Although we didn’t do any excursions over the weekend, we did book a private dinner on the beach. The reservations go quick, so if you are interested in the romantic dinner option make sure you see a concierge early in your trip to ensure that they will have a reservation available. We ate in a private gazebo on the edge of the beach that over looked the ocean, with the hotel as our backdrop. The dinner included two waiters who were able to assist us in setting the perfect scene. This is a great option for anniversaries, honeymoons, or engagement trips. The food was absolutely delicious, you pre-pick your items when you book with the concierge, and a bottle of wine is included with the meal price. I would highly recommend this activity, as it is a great way to set the tone of your trip and something special to do with your significant other. Aside from our romantic dinner for two, the food and bar options at the resort are excellent. 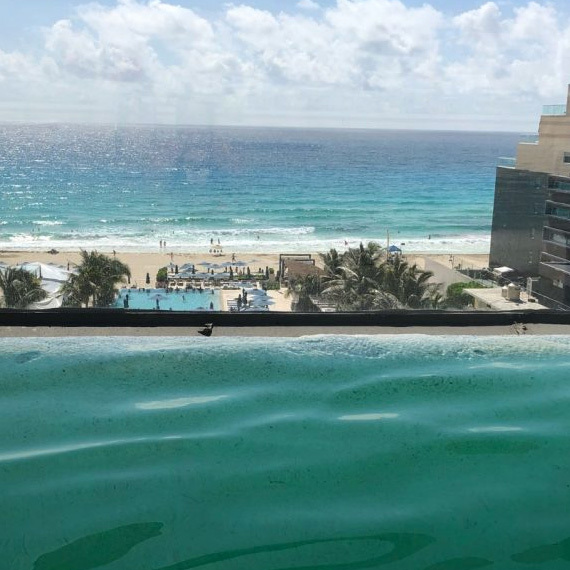 You can enjoy an expansive breakfast buffet that includes both Mexican and American favorites, eat at the mouthwatering Mediterranean restaurant located on the Preferred Club pool level, or enjoy a wine tasting every day in the lobby outside of the wine bar. With 8 restaurants and 7 bars you will have constant options for food and dining no matter how long your stay. Another way to enhance your romantic getaway is the in-room dining. Now this is no regular room service, this is definitely a wonderful add on that will make your trip extra special. As part of the romance packages available to honeymooners or couples celebrating anniversaries is a romantic breakfast in the room. You can set this up with your butler if you are on the Preferred Club level. You choose your food options and time the night before and in the morning your food, and mimosas are brought to your room and set up either in the room or on the balcony. With a stunning view of both the lagoon and Caribbean Sea it only made sense for us to enjoy our breakfast on the balcony. Eat in the provided bathrobe and slippers and take in the expansive ocean views while you sip on champagne and eat your favorite breakfast foods. Secrets the Vine brings the relaxed romance that any couple looking for a little R&R will truly enjoy. This resort requires no reservations for their restaurants and offers luxurious options for their travelers. If you are looking to get away from it all for a week or even a weekend this resort will offer you reset you’ve been looking for, all while taking in the most breathtaking views with blue as far as the eye can see. 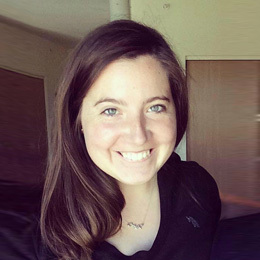 Amber Zakem has worked in the travel industry since 2014. Although, her love of travel began far before that. Amber grew up visiting cousins stationed throughout Europe and worked as an Au Pair in Germany for a year between High School and College. She started working at a local travel agency in Oshkosh, Wisconsin, after graduating from Central Michigan University. Amber began working for MAST Travel Network in 2016 and is the Social Media Specialist. She runs the MAST Facebook, Instagram, Twitter, Pinterest and Snapchat and she teaches twice monthly webinars to travel agents on using social media to promote travel. Amber has continued her passion for travel and social media by also teaching a course at Moraine Valley Community College in their Hospitality program.